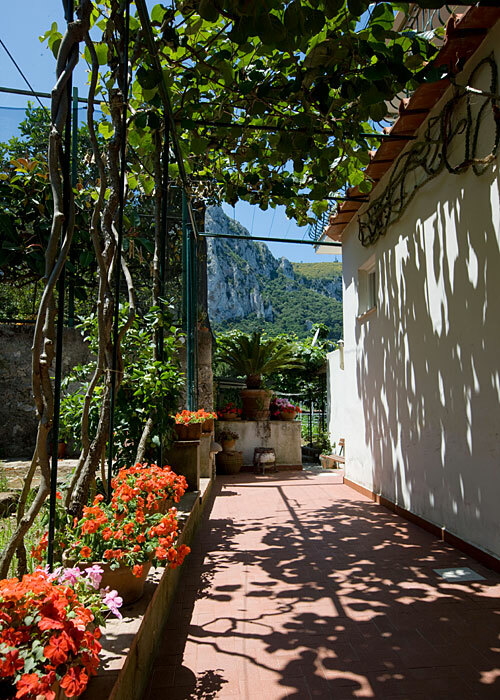 Villa dei Fiori Capri: 3 reasons to book here | Capri Booking. 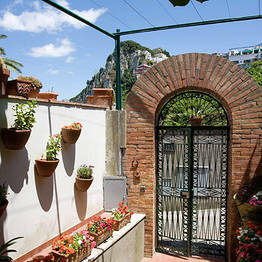 100% Capri. 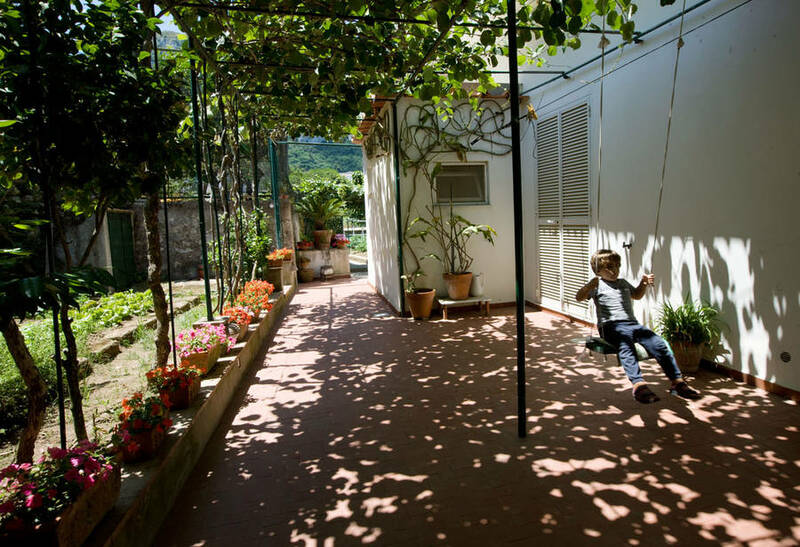 It's hard to find a better way to describe Villa dei Fiori: an authentic island home and the perfect place in which to enjoy a relaxing and (why not?) 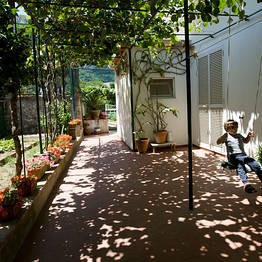 affordable vacation on this, most magical of Italian islands. 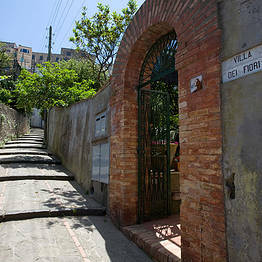 From the Piazzetta, you'll reach Villa dei Fiori in a matter of minutes. 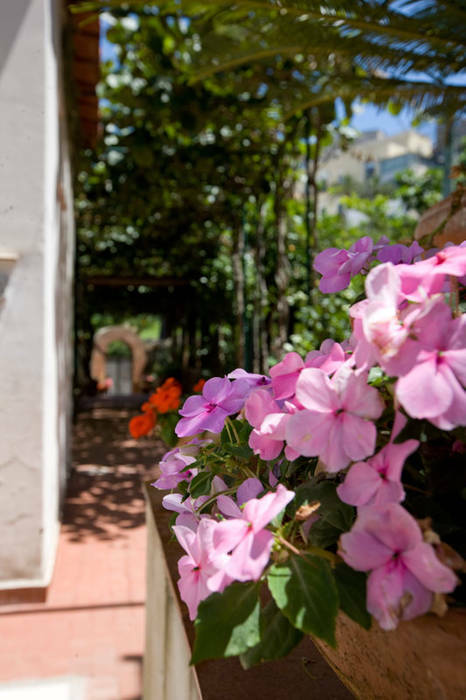 Walk through the B&B's gate and you'll find yourself in a garden filled with the colors and scents of the Mediterranean and with a characteristic pergola and terrace, where to relax. 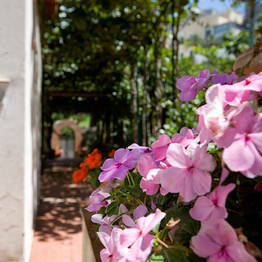 A B&B all for you! 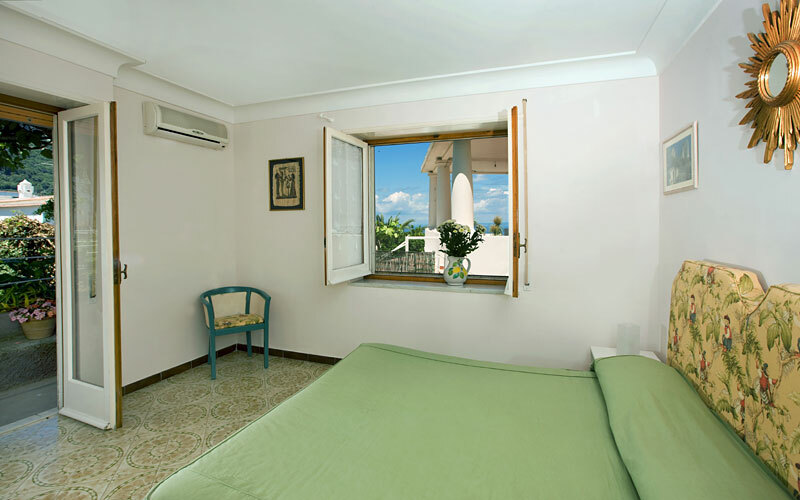 Villa dei Fiori's bedroom (there's only one!) 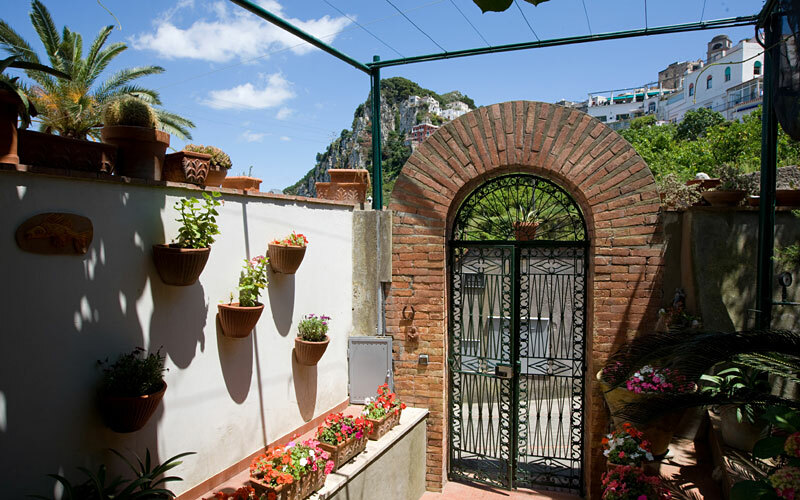 looks out onto the garden. Spacious and filled with light, the room is furnished in typical island style and features a full range of contemporary creature comforts. 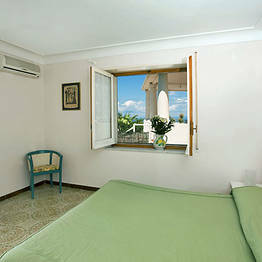 From the window of your room, you can even catch a tantalizing glimpse of the sea! 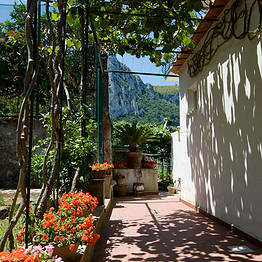 Looking for a B&B within easy walking distance of the center of Capri? 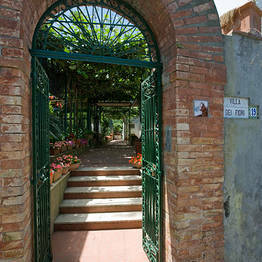 You'll love Villa dei Fiori! 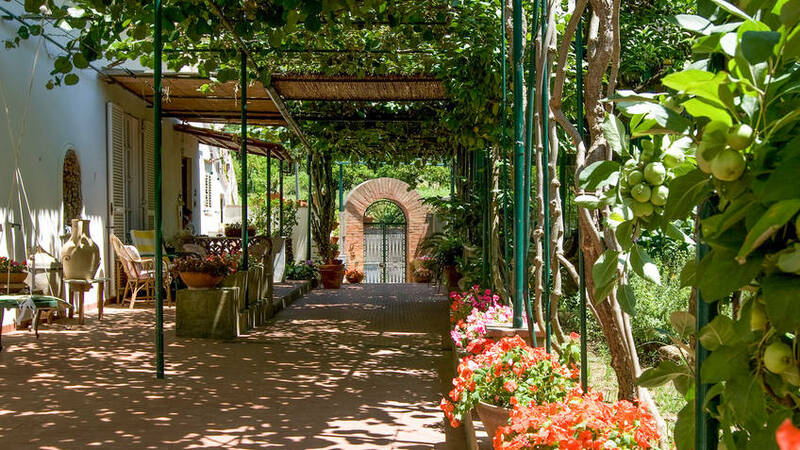 The Piazzetta is just around the corner, as is the Charterhouse of San Giacomo, and Via Tragara - the little lane which leads to the legendary Faraglioni. 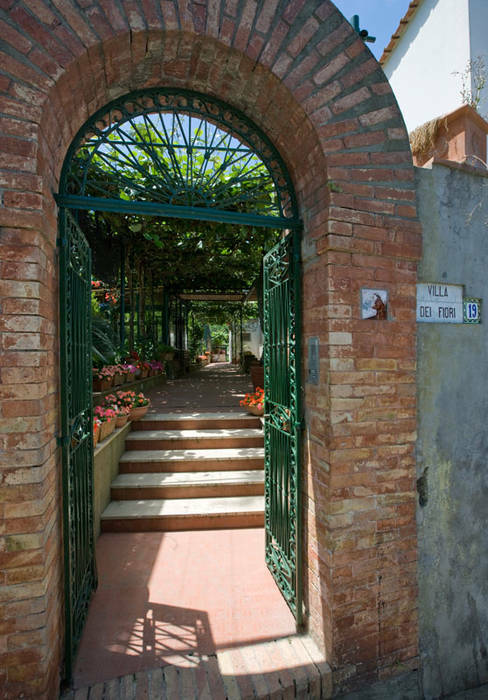 Villa dei Fiori is situated on Via Acquaviva, the old pedestrian road linking the port of Marina Grande with the center of Capri. 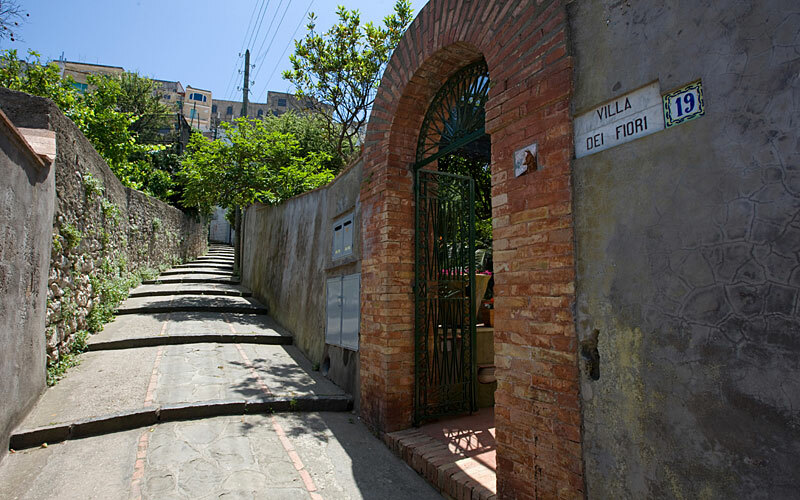 From here, in just a few minutes, guests find themselves in the Piazzetta, the pulsating heart of the island, where the principal bus terminal, taxi stand and funicular railway are located.